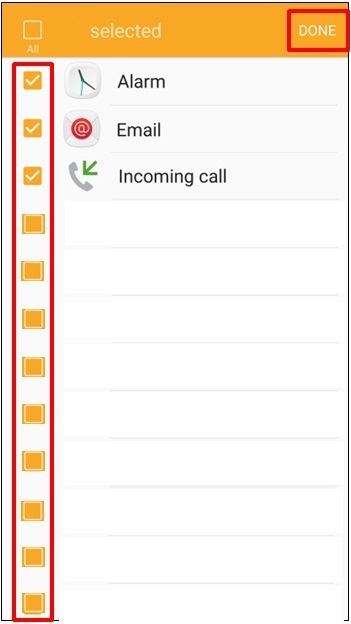 You can set the Gear to receive notifications from the mobile device for a variety of events, such as missed calls or new messages. 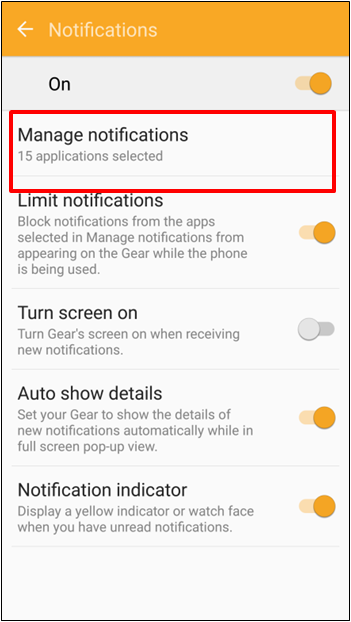 By default, notifications from newly installed applications are not activated. 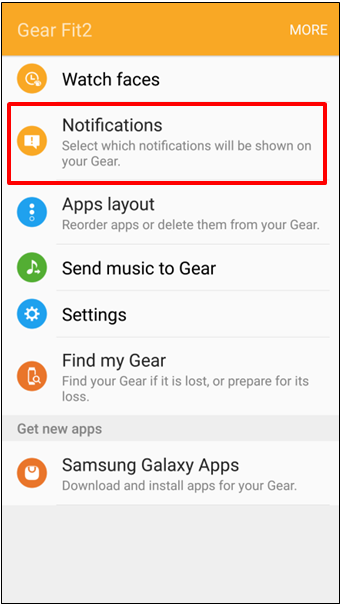 This is to help reduce the Gear Fit2 battery consumption. 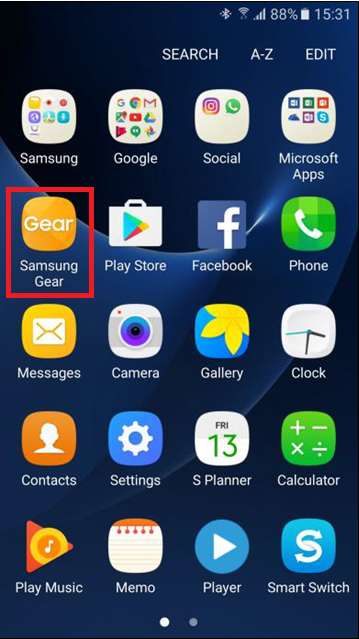 1 On the Apps screen of the mobile device, tap on Samsung Gear. 3 Tap on Manage notifications. 4 Select the apps you want to receive a notification from, then tap on Done. 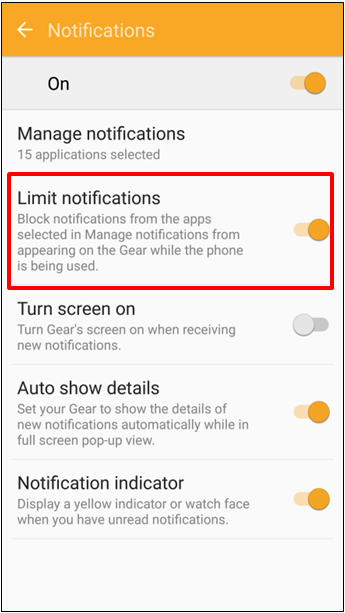 If you enable the Limit notifications option, this will set the Gear Fit2 to block all notifications, except for alarms that are received when the mobile device’s screen is on.